"To see abstract ideas become concrete reality is all it's about." 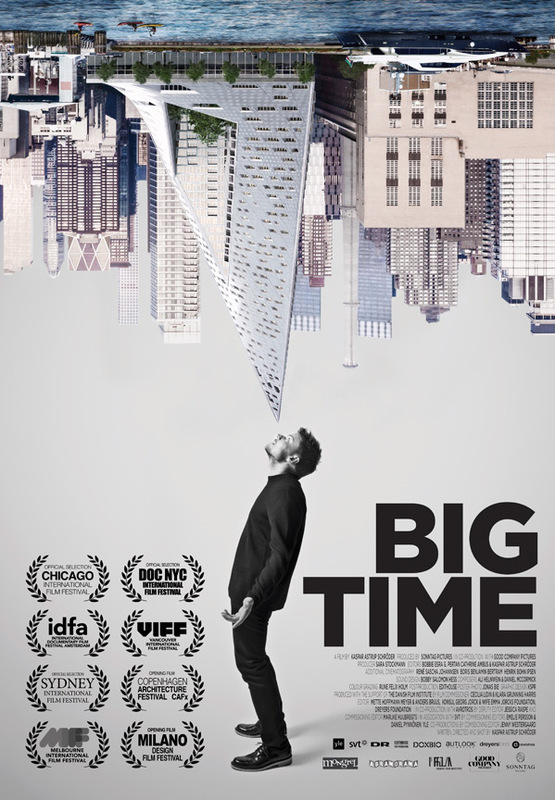 Mongrel Media has released the first official trailer for a documentary called Big Time, telling the story or Danish architect Bjarke Ingels. You may not know his name, but he is well-known in the architecture world as a rising star. Ingels' company Bjarke Ingels Group (BIG) was given the task of designing and building one of the skyscrapers which will replace Two World Trade Center in Manhattan. He has been named "one of architecture's biggest innovators" but that doesn't mean he takes his work lightly. The documentary lets us "into Bjarke’s creative processes as well as the endless compromises that his work entails, and we are on the side when his personal life starts putting pressure on him, too." An intriguing and intimate doc about an architecture virtuoso. Take a look. Bjarke Ingels started out as a young man dreaming of creating cartoons. Now, he has been named “one of architecture’s biggest stars” by The Wall Street Journal. Big Time follows Bjarke during the course of 5 years (2011-2016), while he struggles to finish his biggest project so far. We are let into Bjarke's creative processes as well as the endless compromises that his work entails, and we are on the side when his personal life starts putting pressure on him, too. The film offers an intimate look into the innovative and ambitious Danish architect, whom the entire world is celebrating as a genius. Big Time is directed by Danish filmmaker Kaspar Astrup Schröder, of a few other docs and shorts previously including Rent a Family Inc. and The Invention of Dr. Nakamats. The film played at the Chicago, Vancouver, DOC NYC and IDFA Film Festivals. Mongrel will release Big Time in select theaters starting on December 1st. Curious?